Truth be said I had lot of plans to make something else! Looks like it was never to happen. 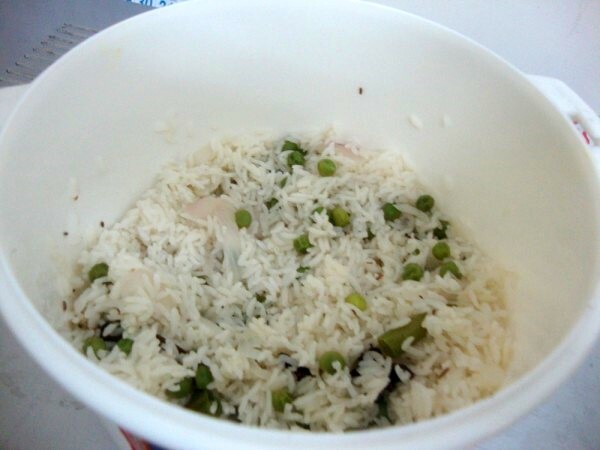 When Priya decided to have Rice dishes made in Microwave, I was happy to try new ones. I haven’t been able to do that. 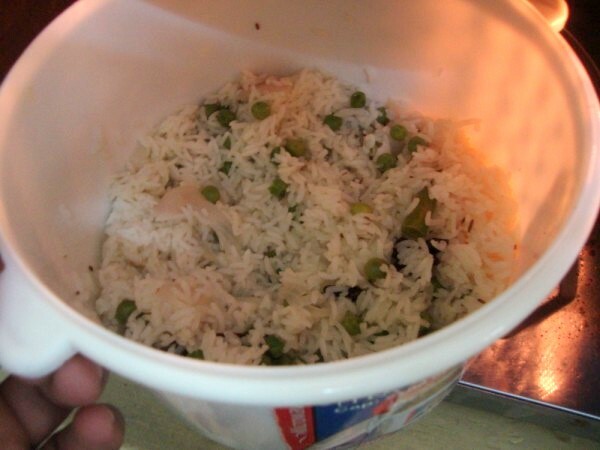 Instead I ended making my favorite dish, Peas Pulao and this time in Microwave. Gets down within 20 mins, max 25 mins. but you can easily make it for your lunch box or Kid’s as my kids like this pulao too. The next edition of MEC is hosted by Lataji. She is asking us all to make a dish that can fit the theme of Lunch Box Menu, right from starter to dessert. So show us how you enjoy your lunch box. It’s been a hectic week for us. I have been down with severe cough and fever. I am never the one who gets down with such things and it caught us on surprise. And looks like I have passed it on to others at home. With school reopening for a month for the boys, I am so worried if they can go on the first day. When I think about it, it is surely funny. When the cough starts from me, it resonates, goes around the house and comes back to me. it’s more like calling rolls! So the Su family might be soon be called Daggu Family..:)..Well I know it’s bad joke! On the flip side of it, I am kind of enjoying this as I get to indulge in bread jam and butter, which I avoid! Well you know there is an up side for everything. Got to look at things that are better right! I know it is not apt topic before discussing a delicious Peas Pulao but then..I was so glad that my colleagues enjoyed my lunch box as I enjoyed my share of bread butter jam. Thankfully both the boys went to their school today by bus and by evening we eagerly waited to pick them up. Just as it might happen in a filmy style, they were not in the bus. They were boarded in the wrong bus and they had a merry round, finally went back to school to wait for us to pick them up. The whole place is sizzling with the cricket fever watching the match between India and Pak. Hubby dear is glued to the Tele. The day has been quite tiresome with it being so hot. 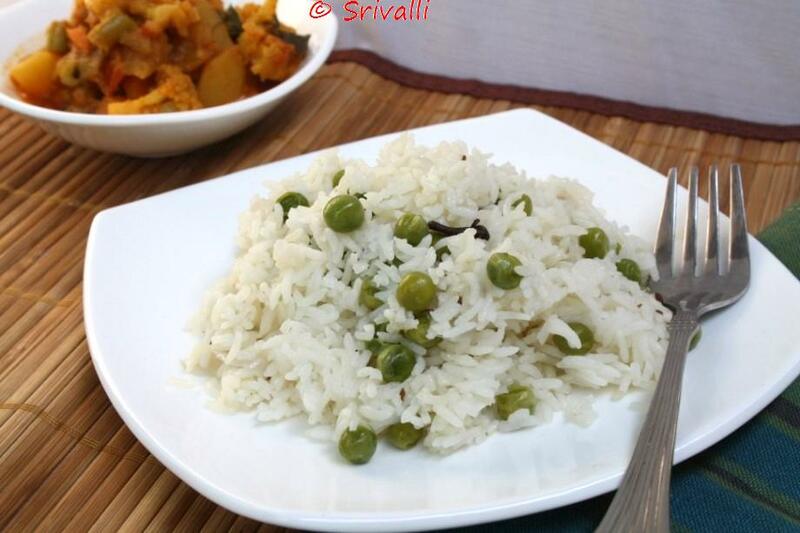 The match is on the way..meanwhile read on this yummy yet simple pulao. 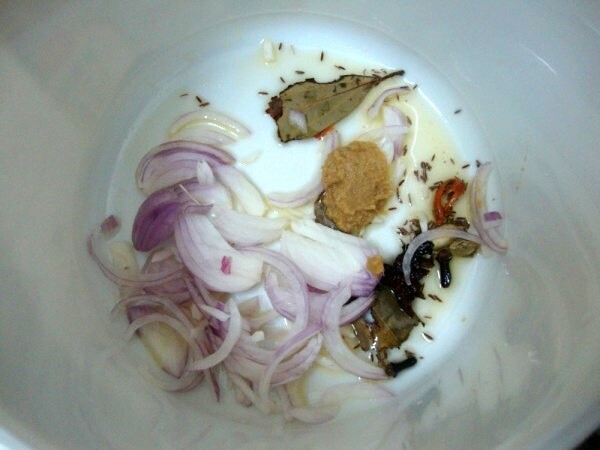 In a microwave safe bowl, add 2 tsp ghee and 1/2 tsp of oil, add all the whole spices, micro for 1 minute. Then add finely chopped onion julienne, 1/2 tsp of ginger garlic paste micro for 2 mins. Next add 2 long green chilies chopped into 3 pieces along with fresh peas. Micro for 2 mins. Drain the rice and add to the bow. Stir well. Add 2 cups of water and micro for 20 mins. Stir in intervals of 10 mins. Mine was almost done by 19 mins. But you can allow it to rest in the same bowl by covering it with a lid. Shift through with fork to separate the grains. 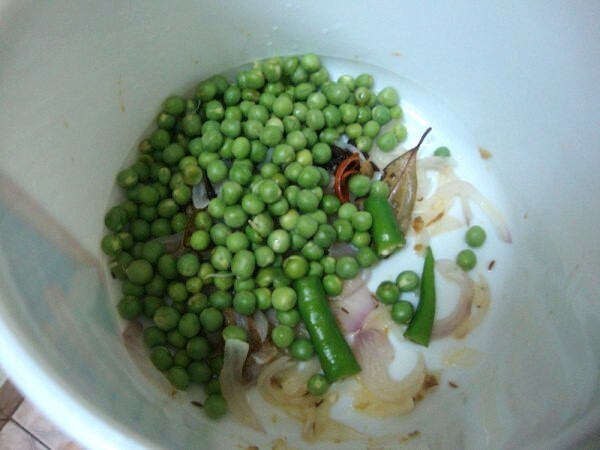 It’s almost the same recipe as the Peas Pulao that I already posted. 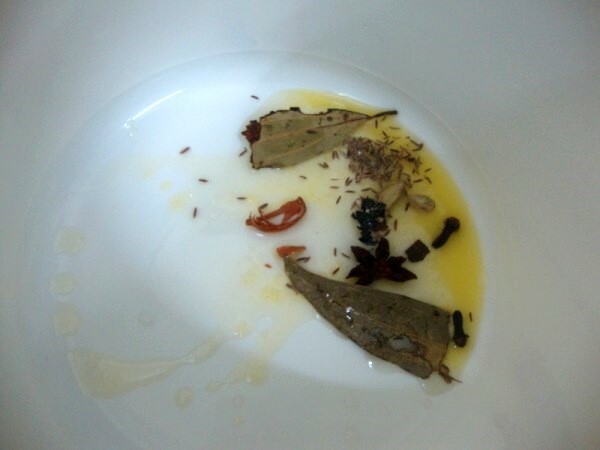 Except the whole spices included Shah Jeera, Javitri and Anise Star. Sending this to Priya who is hosting the MEC event themed on Rice. 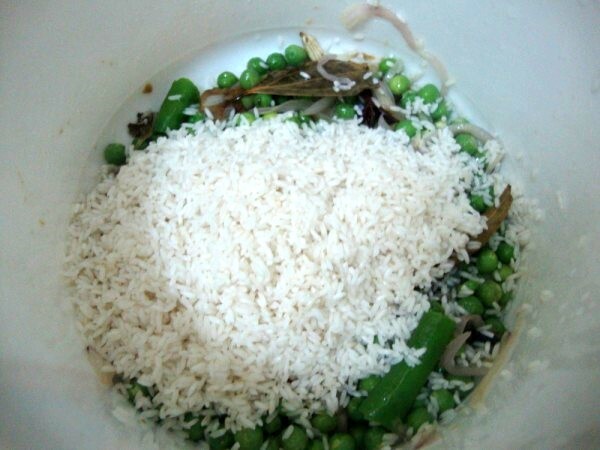 Love the peas pulao!! I am going to make it today this is a perfect dish to enjoy when you don't feel like cooking. Just do the tadka and leave it to cook in the microwave! My all time fav… Looks so good.. YUM! perfectly done and looks so delicious !! Love the step by step pictorial..pulao looks inviting! I am really amazed by the way u make all these dishes in the Microwave…i know its easy, but somehow my family doesnt prefer it! a perfect LBS recipe..does the cooking time differ for basmati and ordinary ponni rice..? Always love Peas Pulav. Best presentation for microwave cooking. Thanks. 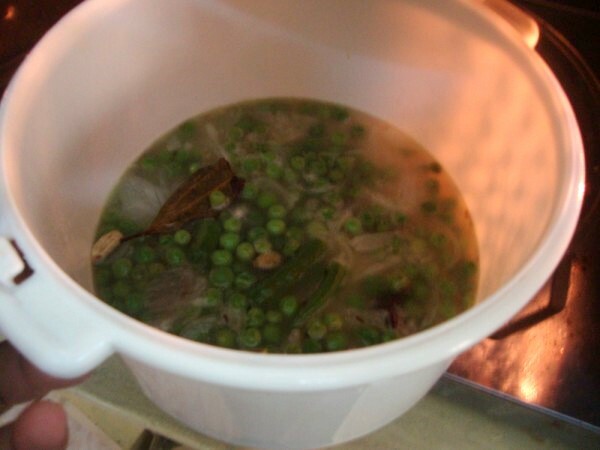 a quick and easy flavorful recipe..